How can it be defined in simple terms? 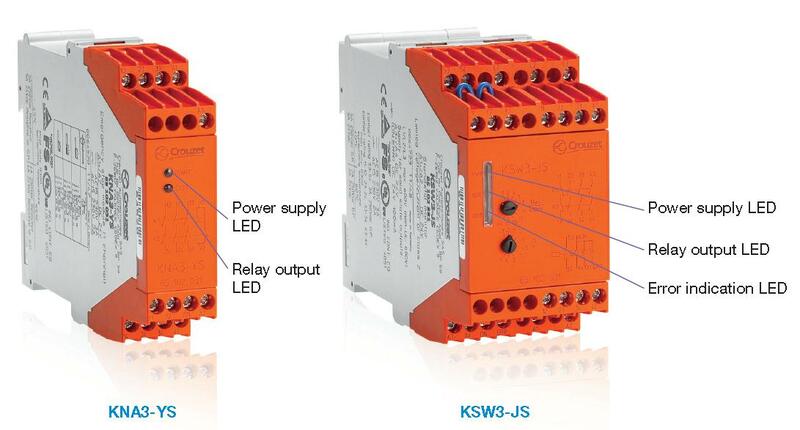 A safety relay is an automation component which is part of a machine’s safety system, thus contributing to the safety of people around it. 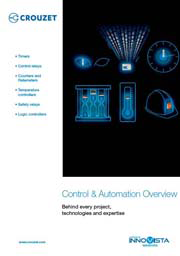 It is essential for compliance with machine safety standards (EN ISO 13849-1 and IEC/EN 62061). The safety relay protects people. It controls a user’s action to ensure that this does not lead to anything that may damage his health, either voluntarily or accidentally. When a machine may be dangerous for the user, it is necessary to monitor all hazardous operations, and detect the slightest anomaly. It is then necessary to actuate safety contacts to stop cutting, rotating, burning items, etc which could be hazardous for the user. A range covering machine applications: emergency stop and mobile guard monitoring, emergency stop with timed contact, two-hand control, zero speed monitoring, expansion module and power supply accessory. A safety component with one or two channels. Prohibition of machine starting if a problem becomes apparent through self-checking of the integrity of the control devices.